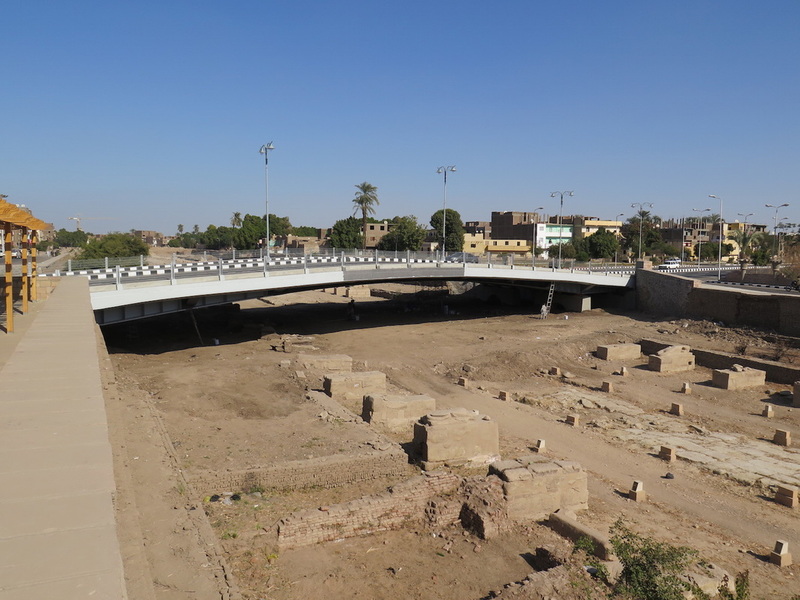 Reference my blog on the new bridge crossing the Avenue of Sphinx. 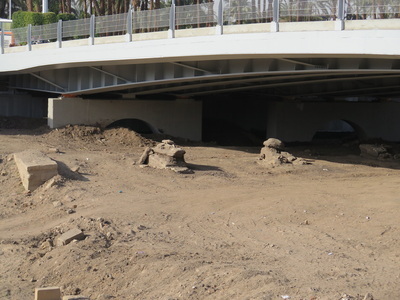 I believe we will see a further two bridges being built in the future. 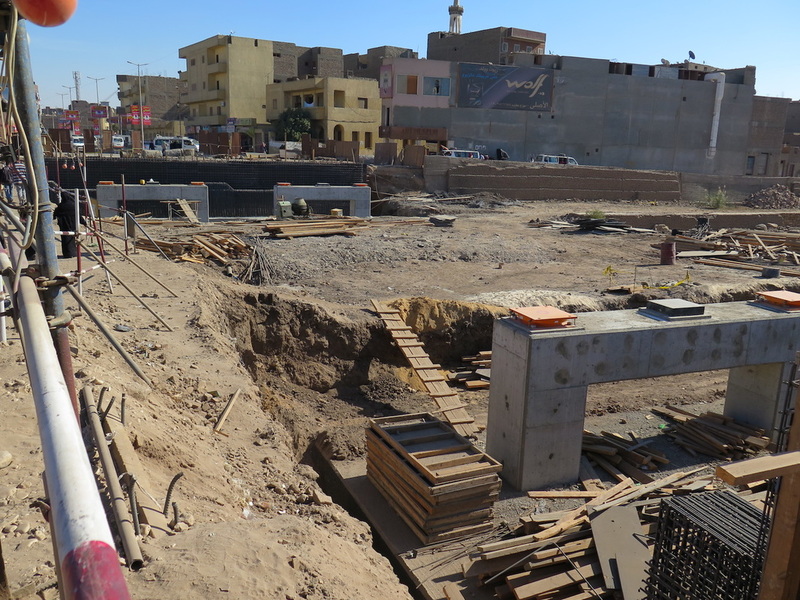 One being the crossing by the Emilio Hotel - Mostafa Kamel St., which at present is a very busy crossing for local buses and caleches. 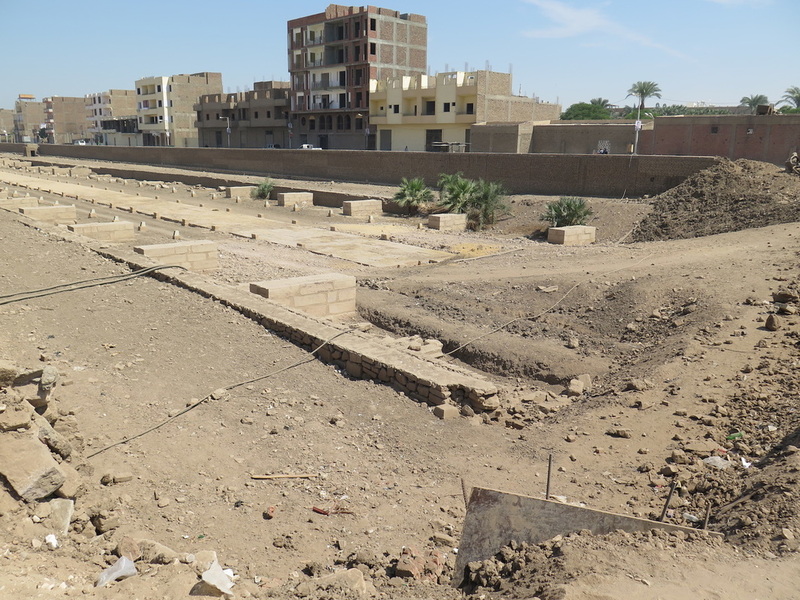 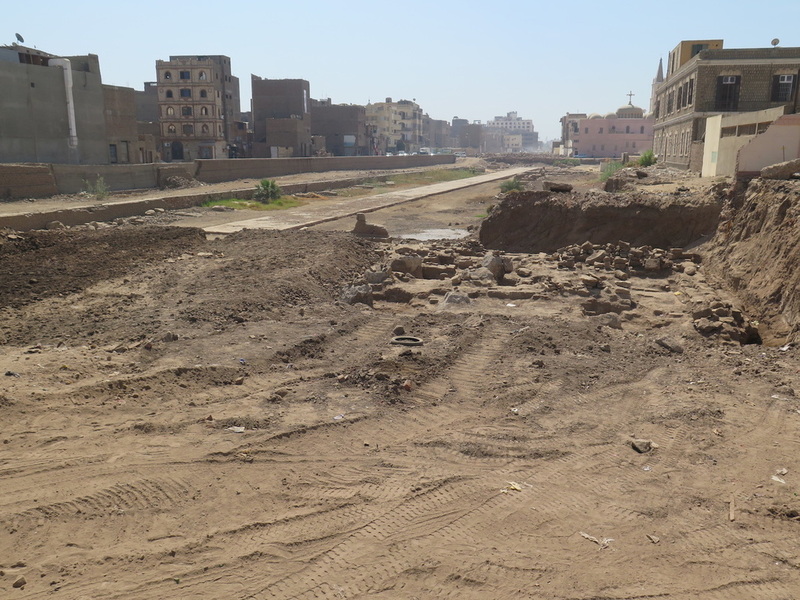 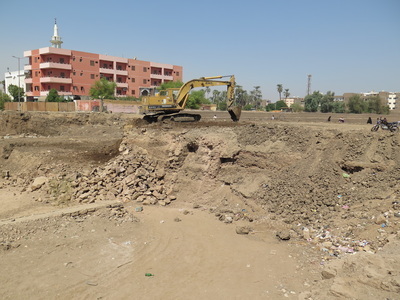 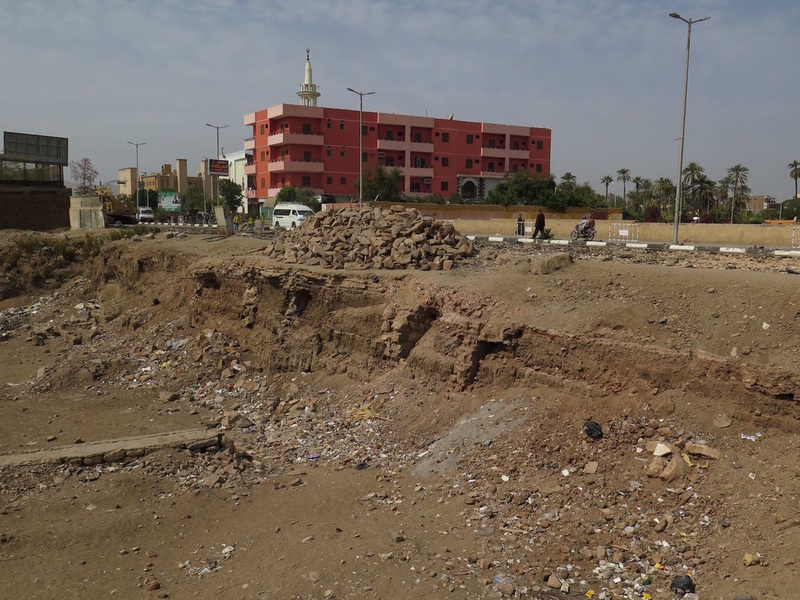 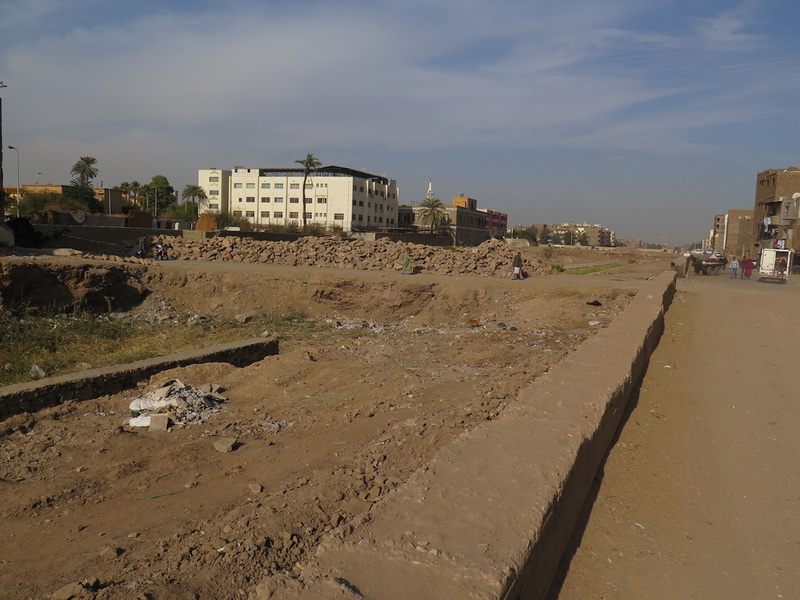 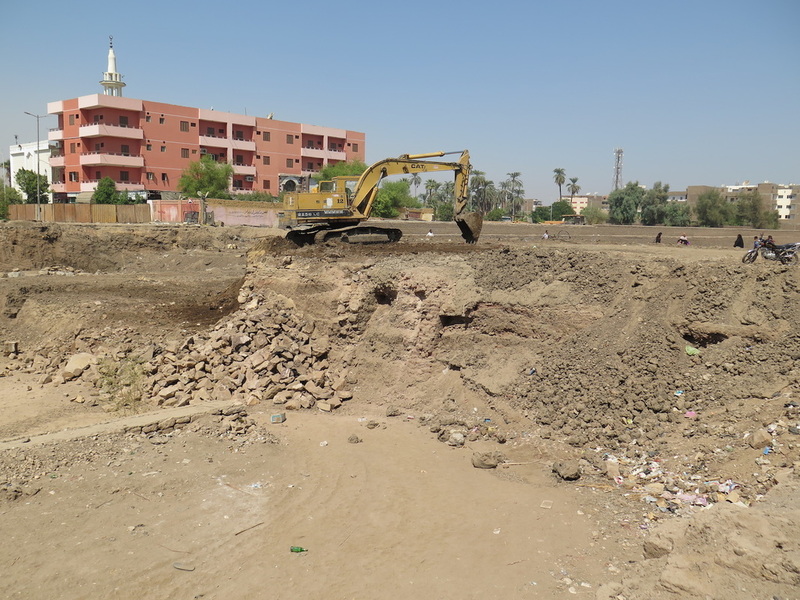 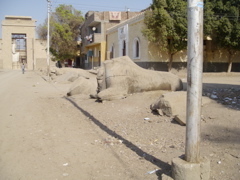 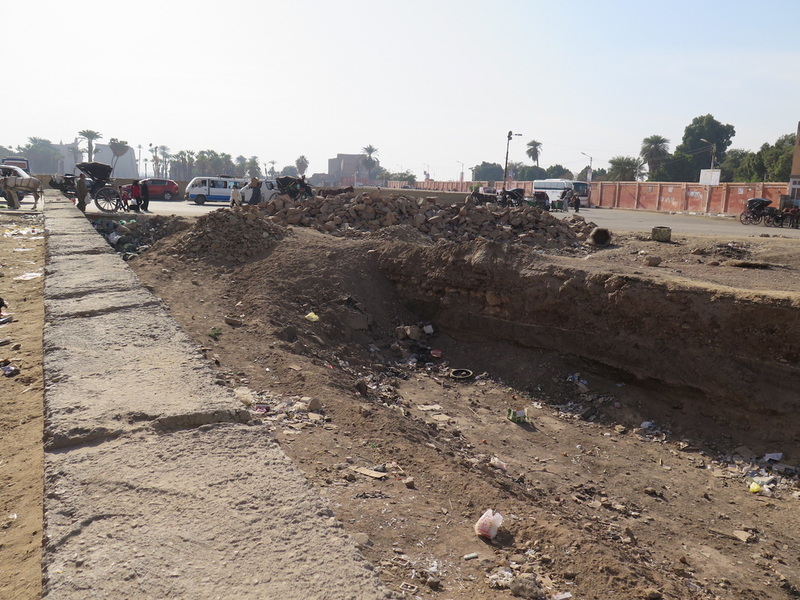 The next crossing towards Karnak is by the churches - Ton Ankh Amon St., this is a small crossing in which I doubt will have a new bridge build there. 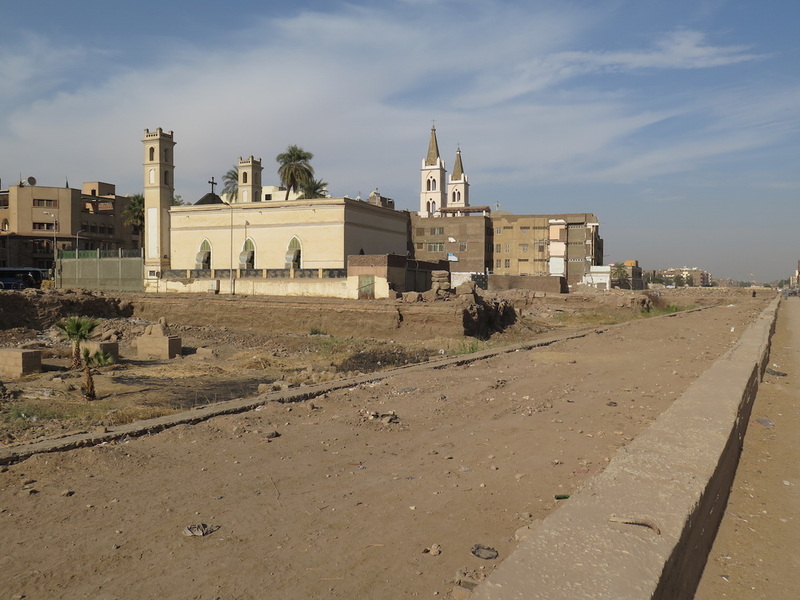 There is also the fact that these two churches are standing in the way of the avenue being completely unearthed and exposed. 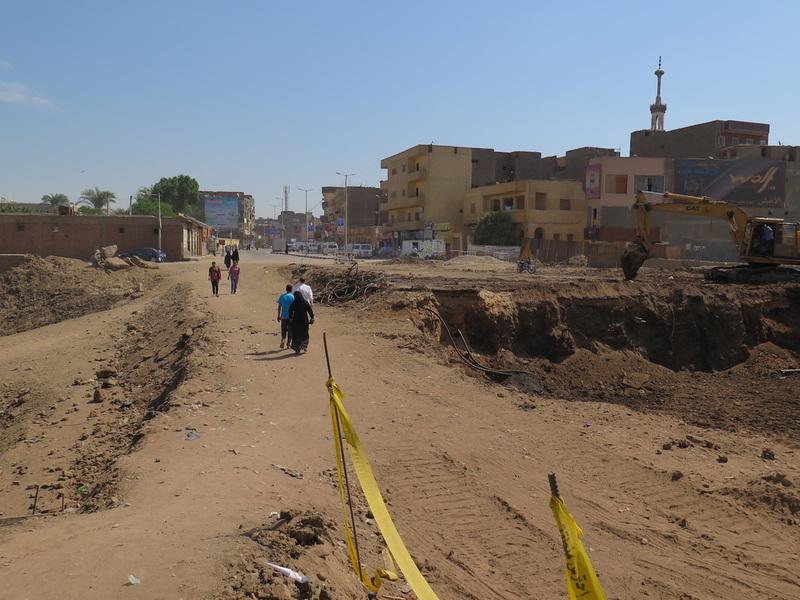 The avenue might just have to continue around them. 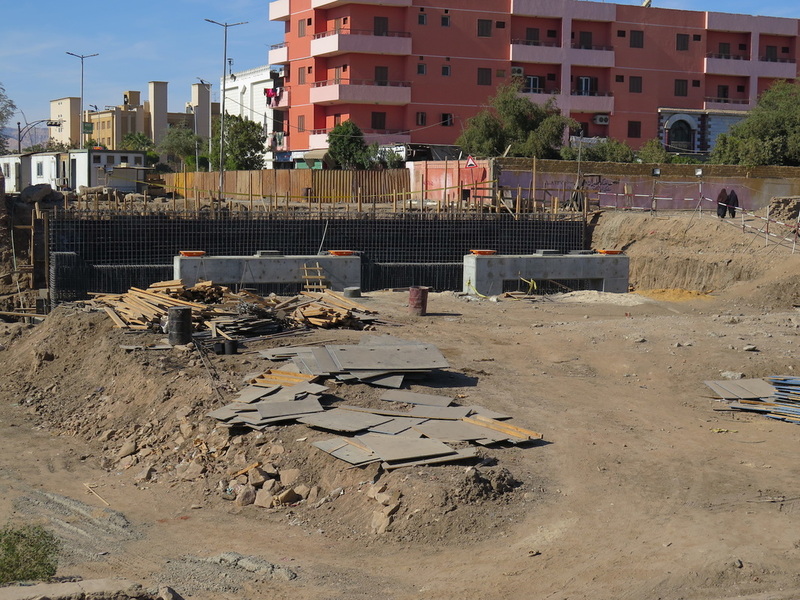 The third crossing - Al Mathan St., is indeed a major one and will require a very large bridge. 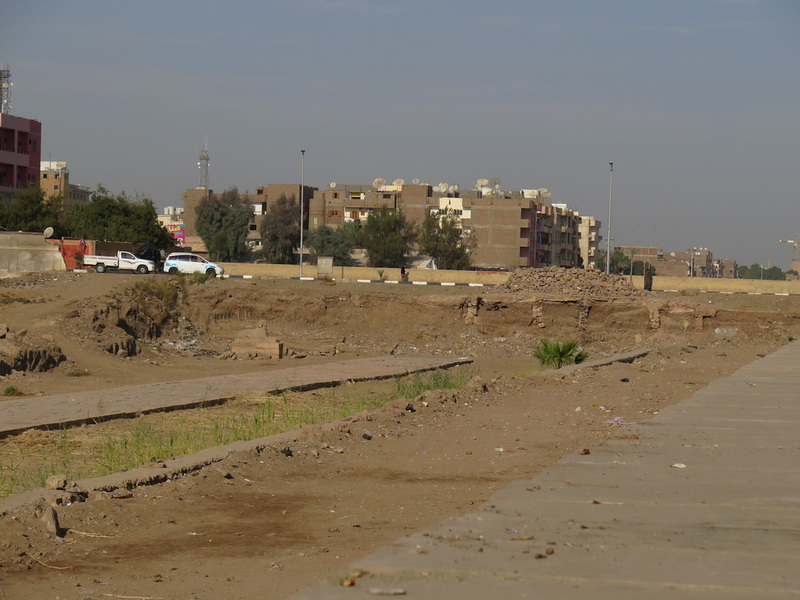 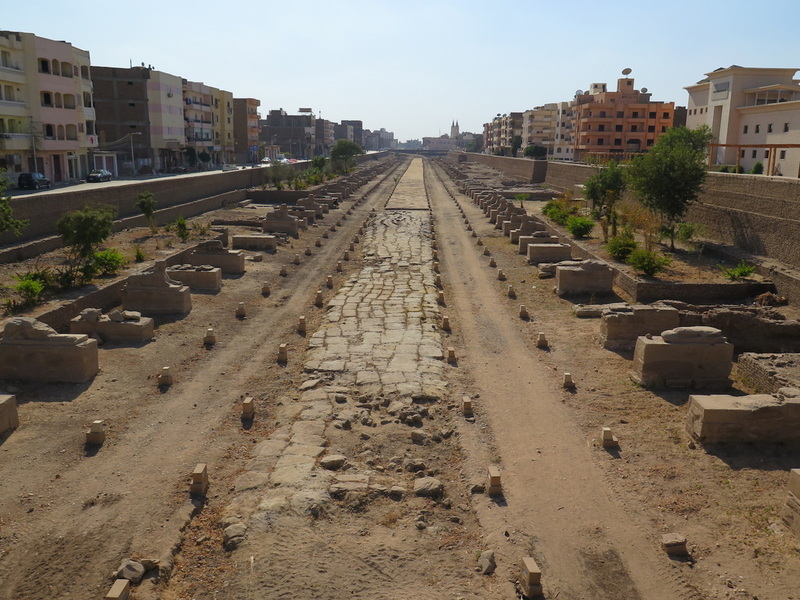 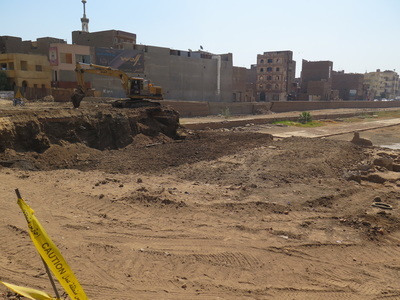 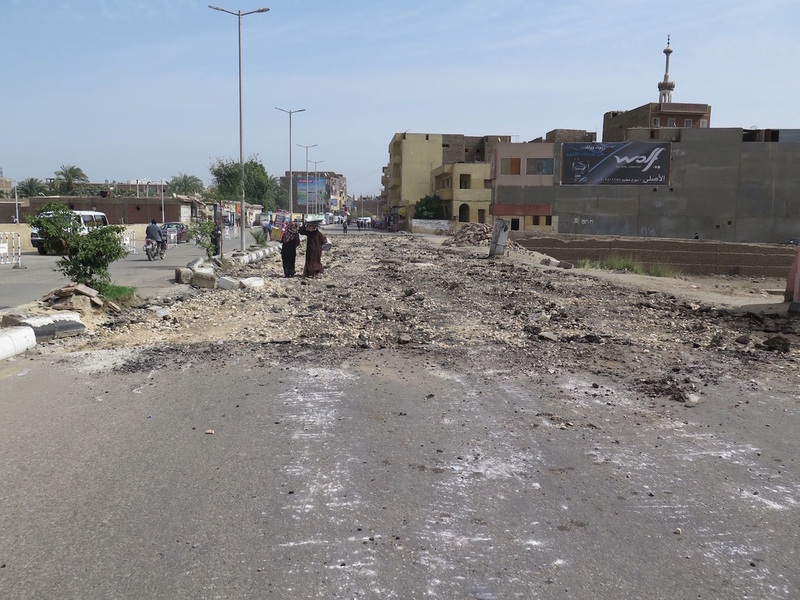 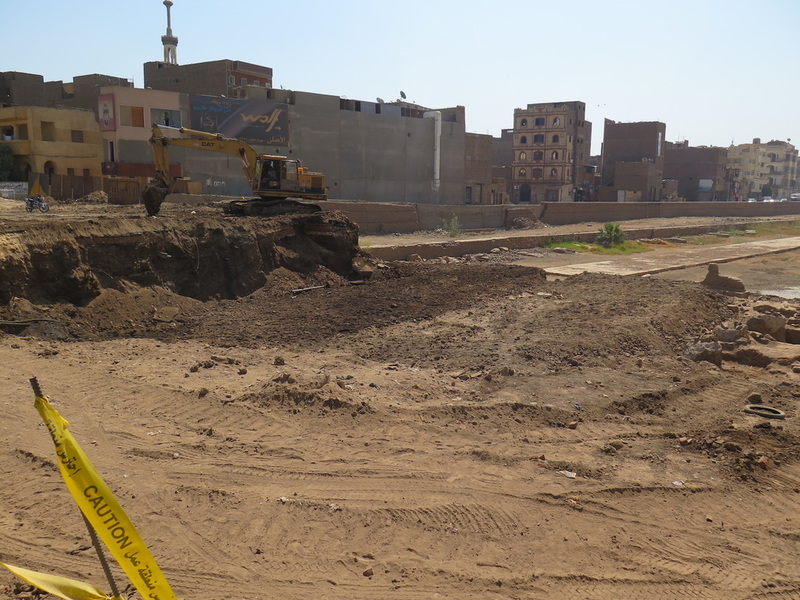 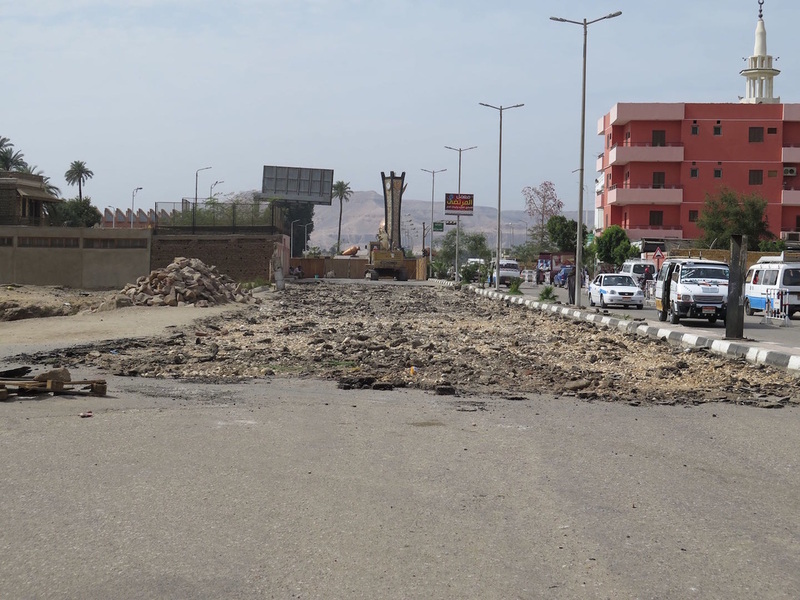 The forth crossing - Al Matar St., has its new bridge in place and the avenue is clear all the way to its end at Karnak. 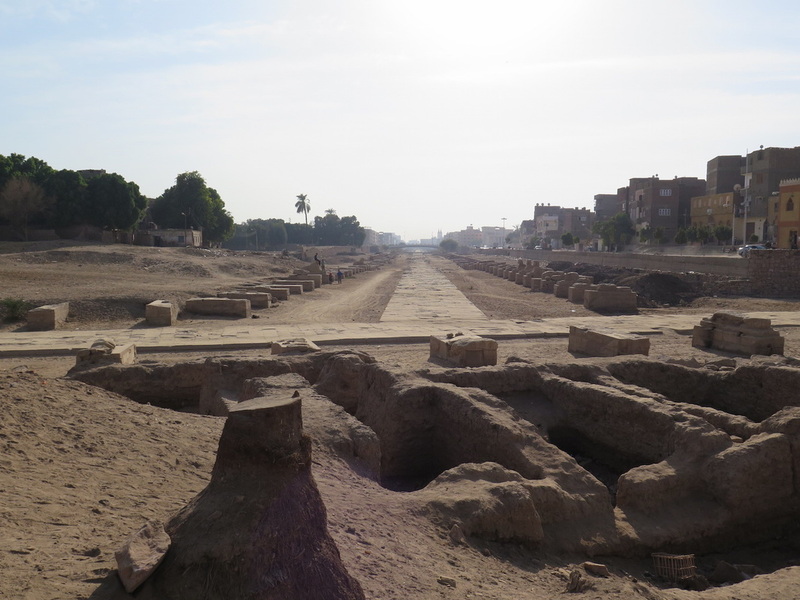 At the Karnak end, the avenue passes very close to some local houses before reaching Karnak temple South Gate. 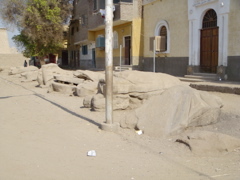 These houses have Sphinx’s right on their doorsteps and are half buried. 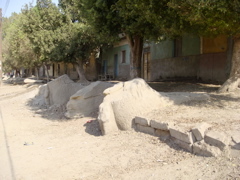 Children have played on these sphinxes for hundreds of years. 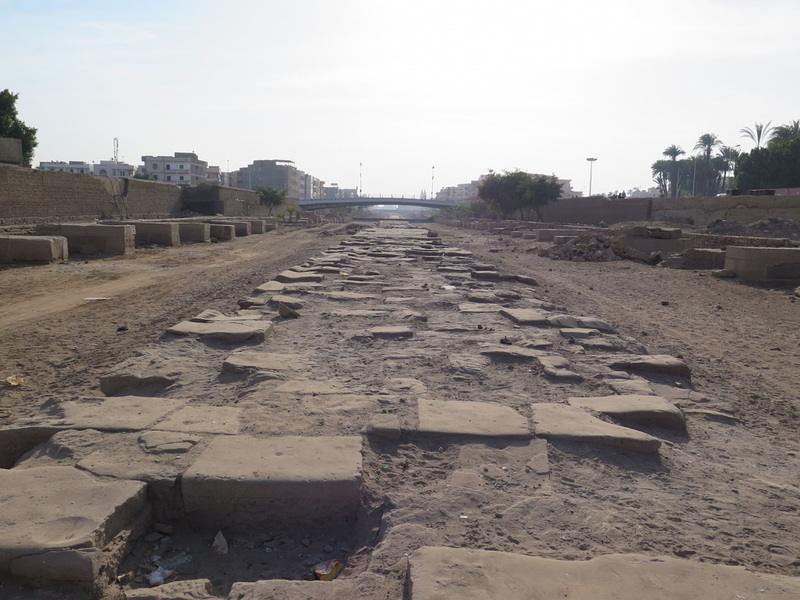 I have no doubt that the avenue will be unearthed one day and continue to the South Gate. 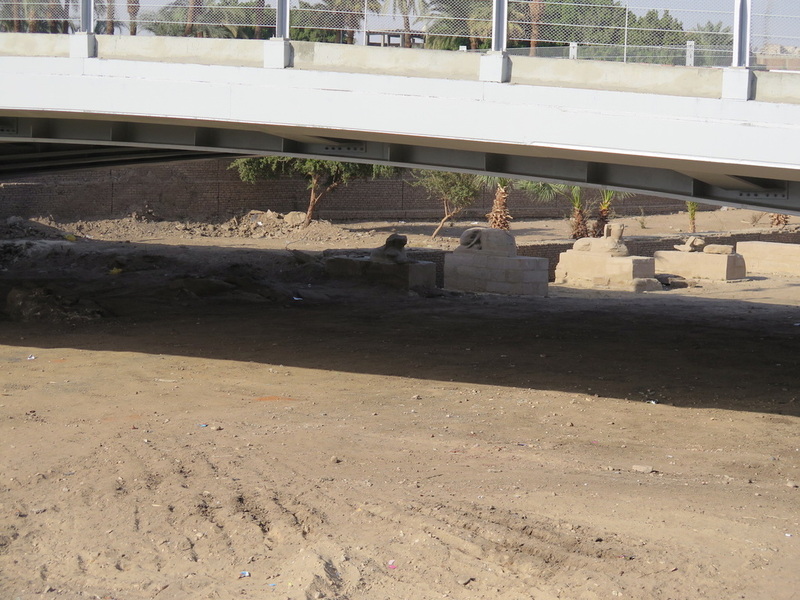 There is progress on the second new bridge to cross the avenue of sphinx at Al Mathan Road. 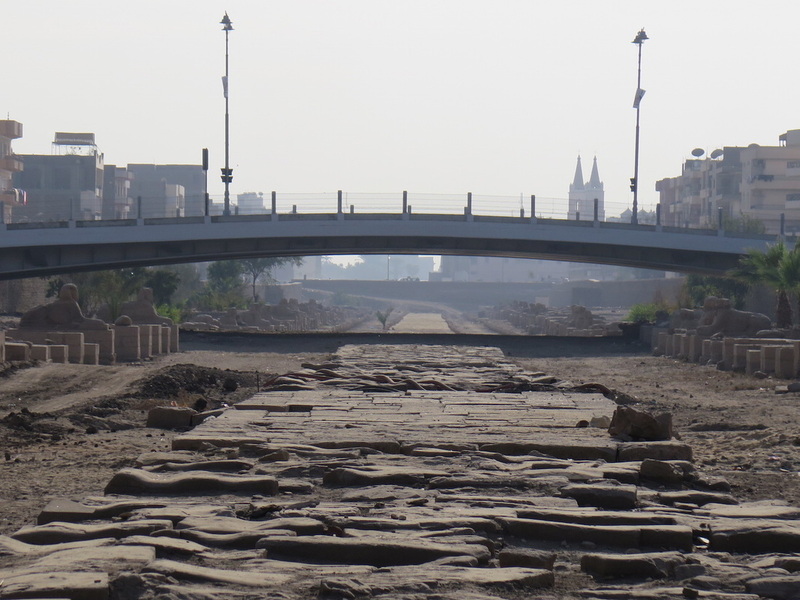 They have taken away half of the original road revealing more of the old avenue underneath it. 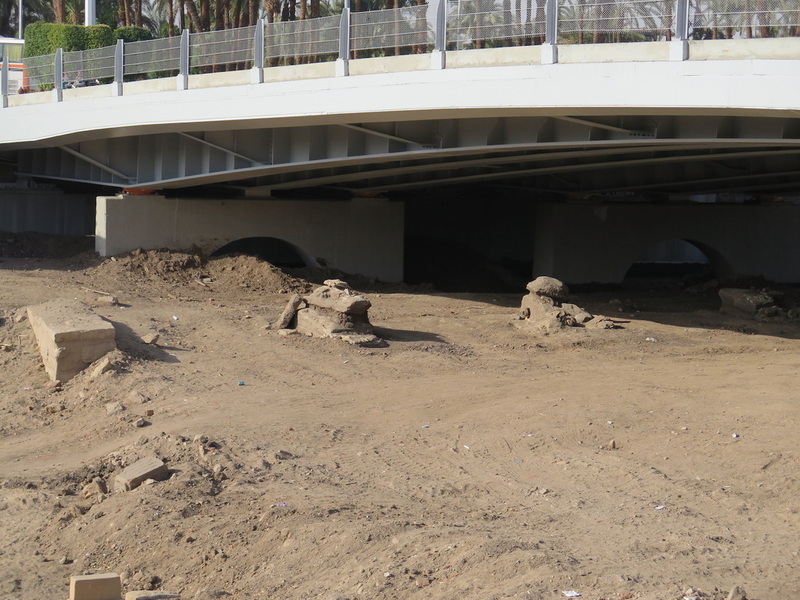 This I believe is the second of four new bridges to cross the avenue. 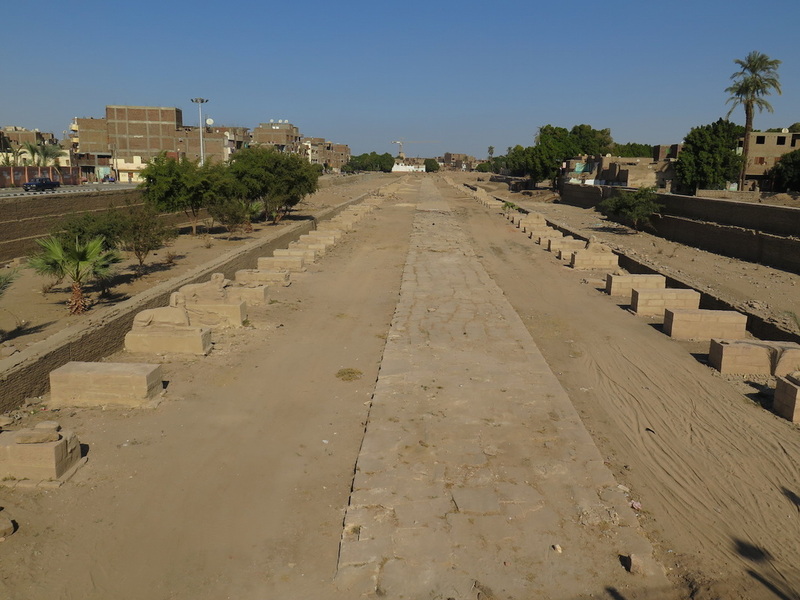 This then will make a clear throughway from Luxor Temple to Karnak Temple. 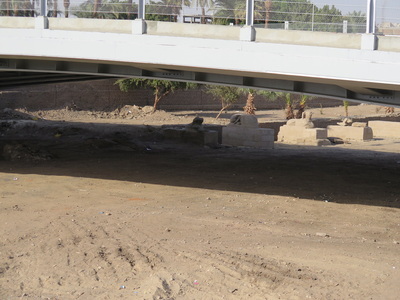 Progress is being made on the 2nd bridge to cross the avenue of the Sphinx on Al Mathan Road.